A teenager died of a heroin overdose after she ended up going home with a man almost three times her age when she lost her friend in a nightclub. 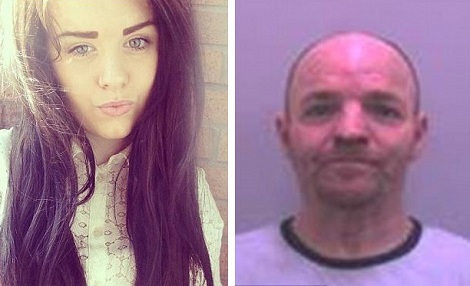 Charlotte Wade, 18, became separated from her friend after a night out in Preston in July last year and went back to the home of Stephen McDonald, 51. At 3pm the following afternoon, McDonald called an ambulance to say he had found Charlotte unresponsive at his flat. Tests showed she had traces of heroin, morphine and cocaine in her system. McDonald was later jailed for four years for two charges of supplying Class A drugs and failing to surrender to bail. It is not known how Miss Wade came to be at his property although her ex-boyfriend's mother lived nearby. In the hours before her death the teenager had used McDonald's phone to call a friend and told her not to tell anyone she was at the flat. It is not believed she had any previous history of drug issues. McDonald was arrested after Miss Wade's death but he skipped bail in February and went on the run. He was re-arrested the following April after the teenager's family launched a campaign on social media to track him down. He was jailed last May at Preston Crown Court. Recording a verdict of drug related death, Coroner Richard Taylor said: 'Firstly I would like to offer my condolences for something that has been going if for almost a year now. All I have to do is return a conclusion on how Charlotte met her death.